ACL Staticide 8072 - Glass & Plastic Anti-Static Foam Cleaner - 15oz Spray Can. Specially formulated for general external cleaning of glass and plastic materials. Leaves no film while keeping equipment clean and static free. 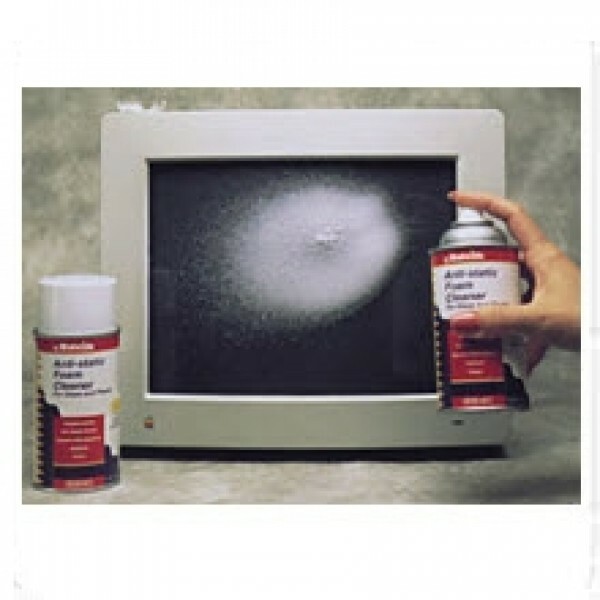 The 8072 Anti-Static Foam Cleaner provides a safe, quick and unique way to clean computer equipment, fax machines, copy machines, and plasma screens. Foam properties reduce the potential of moisture damage that can be caused by liquid cleaners. Anti-static properties help repel dirt and dust, keeping equipment cleaner longer. The 8072 Anti-Static Foam Cleaner decreases the number of cleaners needed on home and office equipment, saving the user time and money.